Every parent with a child on the spectrum can vouch for me when I state, “going out in public is a challenge.” Transitioning from the house to the car is your first challenge. Then the challenge shifts to dealing with the sensory problems of the new place upon arrival. I don’t think I’ll ever forget this one time when I took my daughter to the grocery store. It was years ago. She was probably two and half. Since her sister was born just twelve months after her – I had my hands full. We have come a long way since that day. 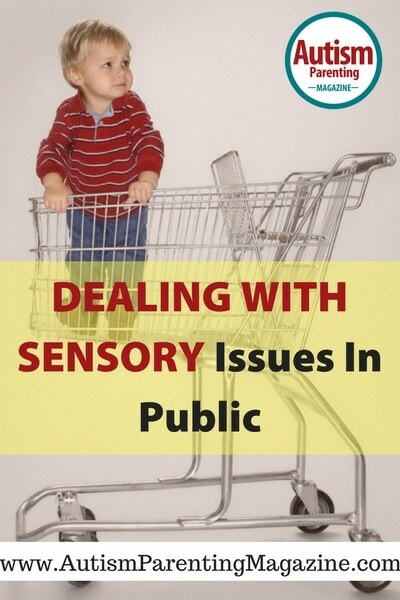 Thankfully, my daughter is able to speak and has explained to me her sensory issues. In her situation we equate it with a frog in a pot of water. The frog is fine when it is first put in the pot (the store in this situation is the pot). As the water slowly warms, it isn’t noticeable until the water is so hot that the frog desperately tries to escape. In an effort to help my daughter not reach her “boiling point,” she carries a “sensory bag” with her and we use visual charts to prepare her. 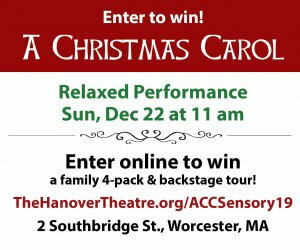 The sensory bag includes noise reduction headphones, sun glasses, a distraction toy and a sweater (for the freezer section). Obviously, sensory integration with the expert help of a trained Occupational Therapist can help children adjust to some of these everyday noises but when OT is not an option try creating a “sensory bag” with tools to help your child’s individual needs. Over the years she has adjusted to not needing all of these tools and I have learned to only go into the store to buy a couple of things. Most of the time I send my husband or use a delivery service such as Peapod.com or ShopRite’s pickup option. There is also the option of going to the store after the kids are in bed (while the other parent stays home). Asking or hiring someone to pick up groceries can be helpful and help you stick to a budget. Sites such as: http://www.wegoshop.com (covers the Bahamas, United States and Canada), www.Tesco.com, (offers grocery shopping and other shopping delivery services in the U.K.), allow you to pay someone to do your grocery shopping for you or choose your items online and have them delivered to your door. Let’s face it – there are some days when checking grocery shopping off your list of things to do would be extremely helpful and simpler. My son’s sensory overload happened when he was waiting for the school bus in the morning or when he was about to step into the school cafeteria – I suspect that the anticipation of the noise he was going to experience is what triggered the meltdowns he’d have on the corner and his point blank refusal to eat in the cafeteria. That was 20 years ago when words like autism, ASD and sensory overload had yet to be incorporated into conversations about developmental delays. I worked with the “buzz words” and behavior at hand: ADHD, auditory processing delays …etc and, like you, knew that I had to come up with some coping strategies for my child. The image of a frog being lowered into a pot of boiling water is a good visual, illustrating that some times, sensory overload sneaks up. Other times, it can be a rude smack in the face. My son Spencer is a stimmer, and has never had a meltdown in public — he’s ostracized because of his stims (90% happy ones) because they’re not socially accepted by the neurotypical community. The image of the frog in hot water was very difficult to read because of the cruelty of the situation — I fight for animal rights and as well as autistic rights. I respect my Spencer’s stims, I don’t hold him back or try to change him. They are part of who he is. I’m sorry if other people think he’s weird and doesn’t belong. I live in Oudtshoorn, South Africa where the world’s largest ostrich farms are found and much knowledge with regard to farming methods etc is of a very high standard, but unfortunately the thing that is most important to me very little is known -and that is autism which my grandson is a victim of – even the paediatrician in this area to which I have been referred admits that he knows littel and I have to travel 500km to Cape Town for more professional and knowledgeable treatment therefore the information which I can receive via this communication is most valuable to me. My grandson is now 5yrs old he goes to a Montessori school and I tend to him in the afternoons! Pls help where you can! 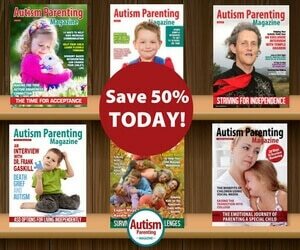 There is a lot of good information now about how to help kids with autism. If you are looking for a book to read and give to others for an easy start I would suggest “Ten Things Every Child with Autism Wants You to Know” I have two sons with autism . Your grandchild is lucky to have you. 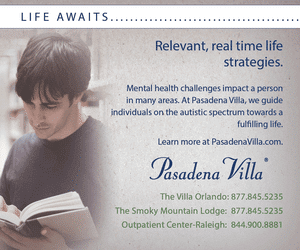 Autism breakthrough- to help reach him. 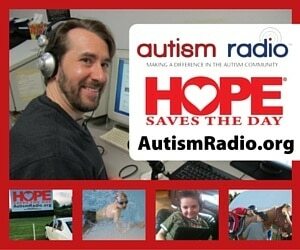 Hi Maureen, my son is a non-verbal 14 year old w autism. He’s written a book using the Rapid Prompting Method. It’s called Handbook of Us: Understanding and Accepting People with Autism, by Matteo Musso. (Amazon) I sure wish I’d had this book at my disposal in the Matteo was younger. It would’ve been so extremely helpful to know that he understood everything we were verbally saying even though he couldn’t talk. There are lots of tips in there that will help you understand your grandson. Then, you’ll know how to respond. The insight is invaluable. I read all books written by the people,who are actually living the autistic experience. I’ve found their insight to be invaluable! Do you have copies of the book, are you selling it? sure it will be good for some of our autistic children at daycare. These melt-downs can be easily and PERMANENTLY avoided if they are dealt with on the level of energy disturbances BEFORE the actual “event” takes place. This is how I am continuing to help many parents with children with autism who have sensory processing issues. Please elaborate on “These melt-downs can be easily and PERMANENTLY avoided if they are dealt with on the level of energy disturbances”. yes, that statement helps no one at all. Would like to know what you mean. Hi. My 12years old son has autism asperger and ADHD. I truly understand the situatuion. He is really sensetive in a strange situatuion. Speciallywhen we go to a crowded party. So we just avoid going there or go late and leave very soon( if we have to go). Any way; try to ignore people’s negative or even nonsence positive comments. I can relate to the sensory issue of bright lights in some stores. I had visual problems following a concussion causing me to have a short term sensitivity to the glare from excessive lighting. This was very unpleasant, frustrating, and caused anxiety. Now I understand just a small part of what autistic people endure. I am over 50 years old and had difficulty coping with this even though I understood the situation and knew it would be short term. Hi Angela, my son has the same problem as yours. I just started giving him a chinese massage that has proven to help children in the spectrum. It is called qigong massage. You can google it and read the reviews. I’ve been giving this massage to my child for three weeks and already saw improve ment. You have nothing to lose. It’s worth the try. And you can find the book online; it is only $20. Hope it helps!! Bruce sometimes all of a sudden covers his ears and I suspect this may be his meltdown, especially if we get to a noisy place. He however doesn’t have a problem with other kids noises but mostly music. The noise reduction headphones may be a good solution to this, but whenever he is done with anything like maybe a cup after tea or a toy, he throws it away or even smashes it. I hope he will find the headphones useful. I couldn’t take my son to public bathrooms due to the the flushing of toilets and the loud hand dryer. I can take him now. He still covers his ears. Sometimes he will use the bathroom and sometimes not. We just finished 10 days of auditory integration training in Albuquerque and my hopes is this treatment with help him deal noises. My son is 2 years old and was suspected to have Autism and ADHD. He is not at all responding to his name. will this suspection can be treated or what should i do inorder to get his attention. please help me as this is bothering me from past 2 months. Can we suspect Autism at the age of 2 or they were wrong? Yes. You should see a specialist to get a diagnosis or rule it out. “One being on the spectrum and the other with GI issues”… This suggests to me that the neurobiology of autism runs in your family, like it does in mine. Autism and GI issues are linked. The way I see it, some of us have a special sensitivity. Kind of like when Captain Kirk says, “Lower the shields, Captain Sulu,” when he’s going to perform some brilliant tactical maneuver. This means we display the autistic temperament or even Asperger’s. It’s a gift and a blessing, even though it is often an awkward burden. But because our kids’ shields are down (again this is sometimes GI related) any developmental problem might result in their having moderate to severe symptoms. I suspect that you are able to empathize with your kids so well because you are tuned to the same wavelength. looking for ways to get an adult with autism into see a physician for an eye exam and the actual interventions with this exam? Will he actually be able to describe the correct vision he is seeing? (i am french so please excuse my english) I have experienced all of the above with the same results … my son is 10 and has been quite aggressive towards himself … the grocery store episode would also imply smashing his head on the floor … i have grown to understand that preparation changes everything … kids are taught skills in school that are rarely taught to the parents .. go figure !!! i have pushed my luck silly … brigning my autistic son to a fireworks competition … sensory issues … oh boy !!! a year later, with proper preparation … my son insisted on going to the 5 consecutive nights of the fireworks competition …. 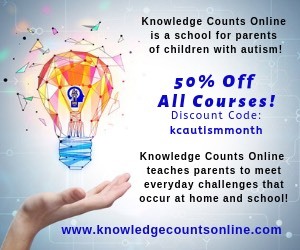 we have invested heavily in parental coaching and now have the tools to assist our child in his social skills development … makes life much better for all of us!! !